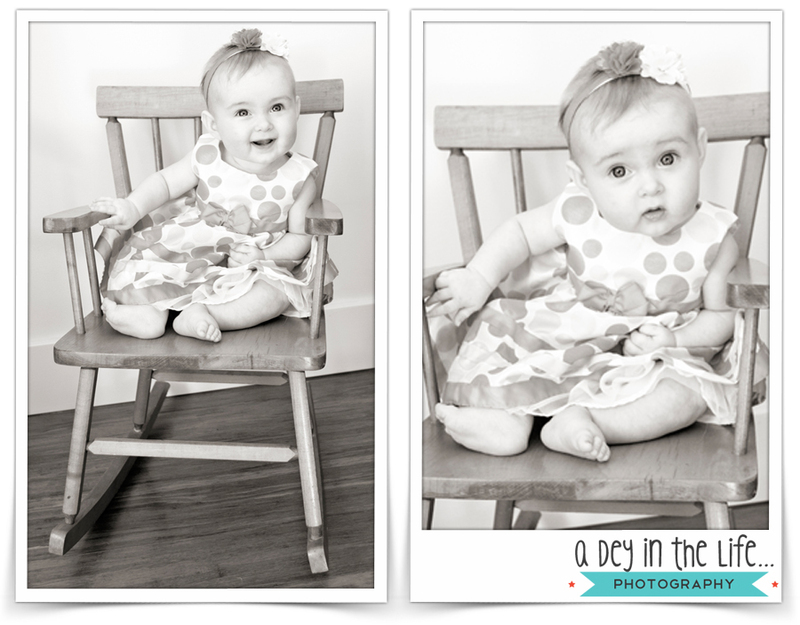 It’s no secret that I’m way far behind in blogging… this sweet baby girl is already a year old! Abbie’s Mommy is Mister’s cousin. Which makes us family-in-law. 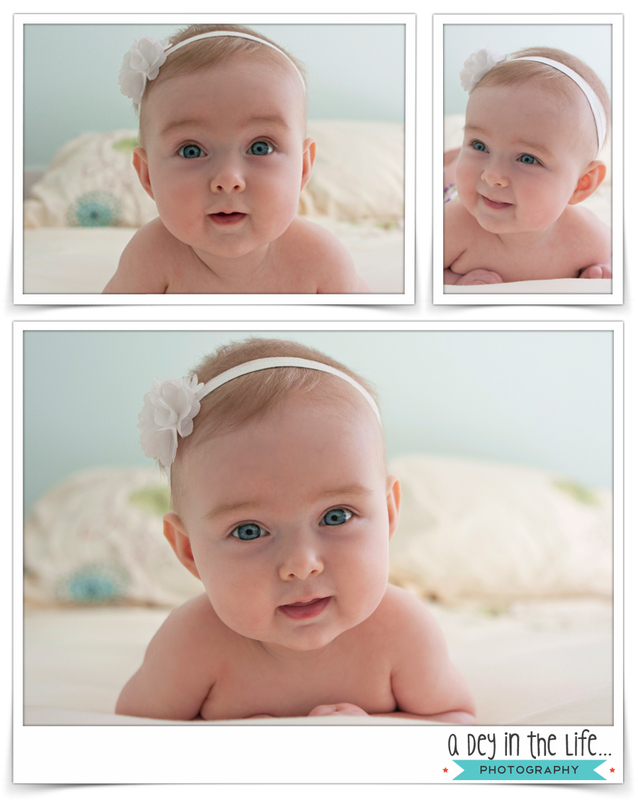 I think it’s safe to say that good looks run in the family ;) She behaved so well for these portraits. At first, she was a little unsure of me and my camera, but when her Mommy stood directly behind me, I caught some of the most adorable smiles! It wasn’t long before she figured I was a-okay in her books, and she rocked it. As much as I love a half-naked baby… she’s a doll all dressed up too! This rocking chair is one of my favorite props! It belonged to me when I was wee, then it was passed on to my cousin, Kylie. And when Deklan was born, she handed it down to him. It has a lot of sentimental value – so using it for family portraits makes it even more special. My apologies to Ericka for the tardiness on this post… but, my dear blog readers, you can expect quite a few catch-up posts in the coming weeks!